peek >> << backLooking to the southwest from Tingey Street at 3rd Street, May 2004. 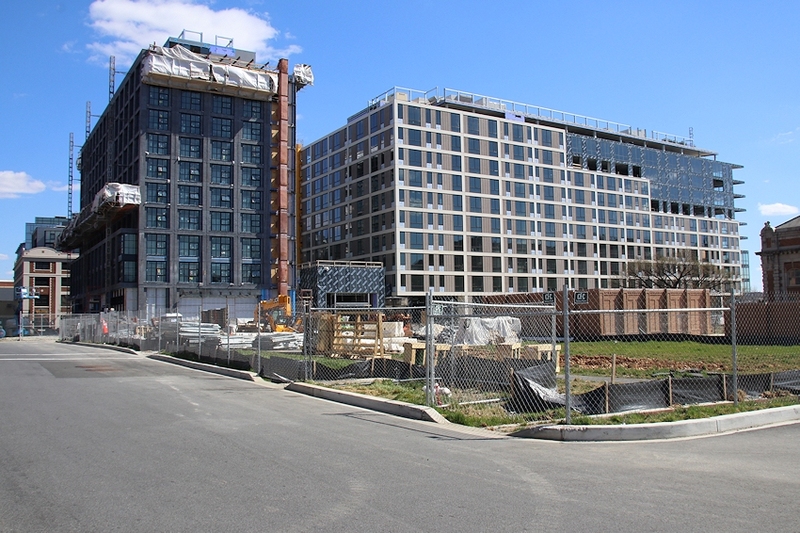 March 17, 2019 - A current view of the concurrent construction of both buildings, as seen from Tingey Street, showing the western side of both the 227-room Thompson Hotel (left) and the 270ish-unit apartment building to be called The Estate (right). 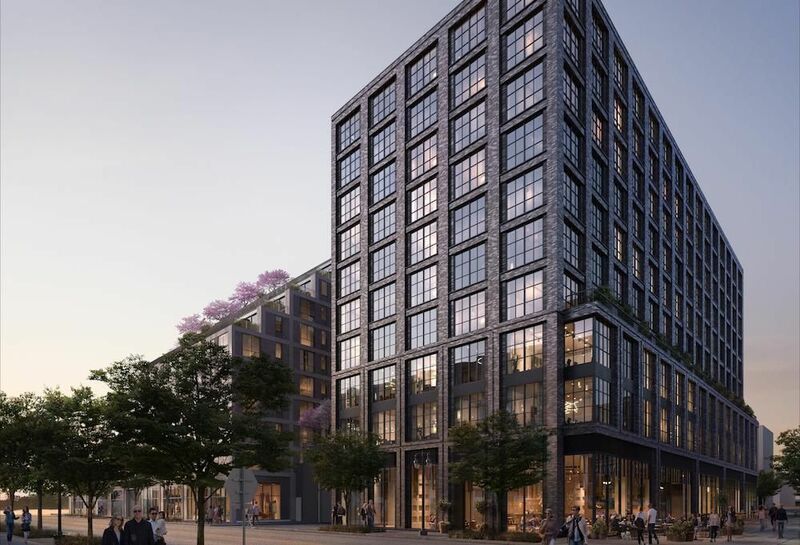 It will have about 17,000 square feet of retail on the building's eastern and southern faces, and two levels of underground parking. 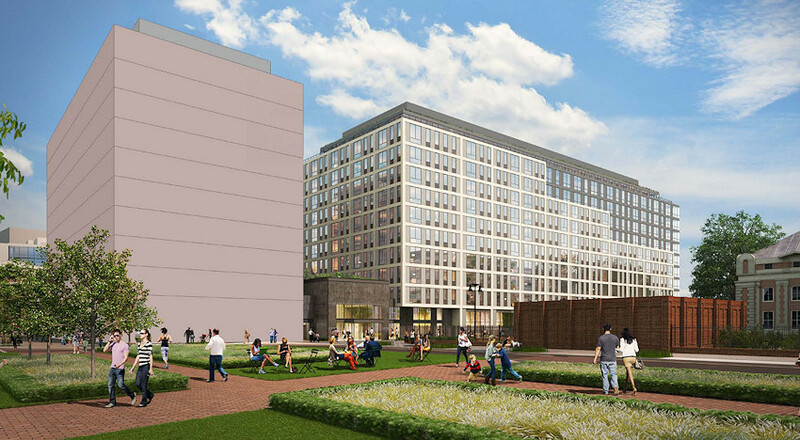 July 16, 2016 - Rendering submitted to the Zoning Commission in July 2016 for the "Parcel L2" residential project at the Yards. This is the view looking north out of the Yards Park from the pedestrian bridge. The building apparently will be called The Estate. 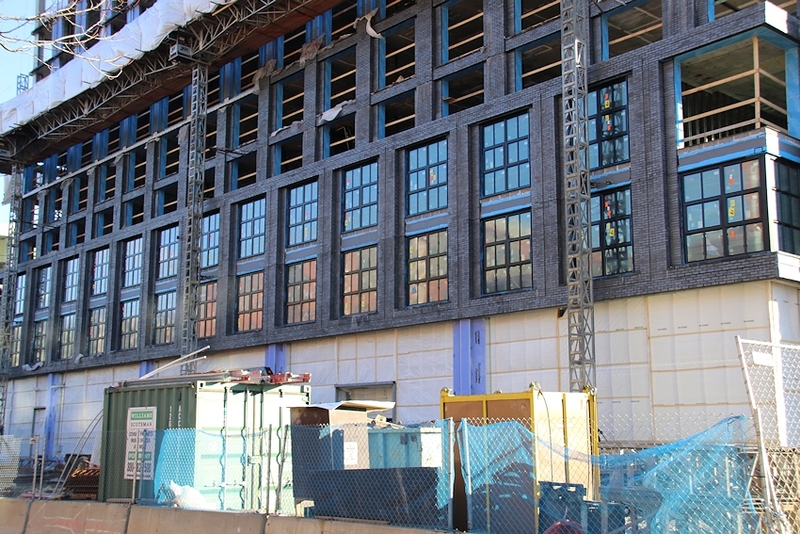 March 17, 2019 - The current view, with construction now topped out and facings going on. 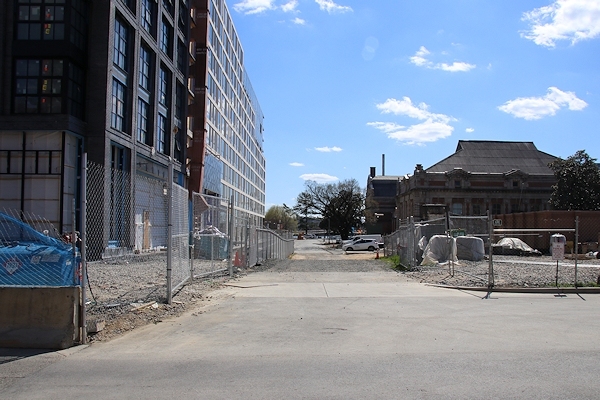 Looking more directly down the eventual path of the mews that will run along the west side of the Thompson Hotel and Estate apartments, with the historic Main Pumping Station at right. Jan. 5, 2019 - Checking out the hotel's window designs. June 1, 2017 - A view from the northwest of both the Thompson Hotel (left) and the northern portion of the residential building. Dec. 15, 2007 - Looking southeastward from Tingey at a location that would be consistent with being called 2nd Street. 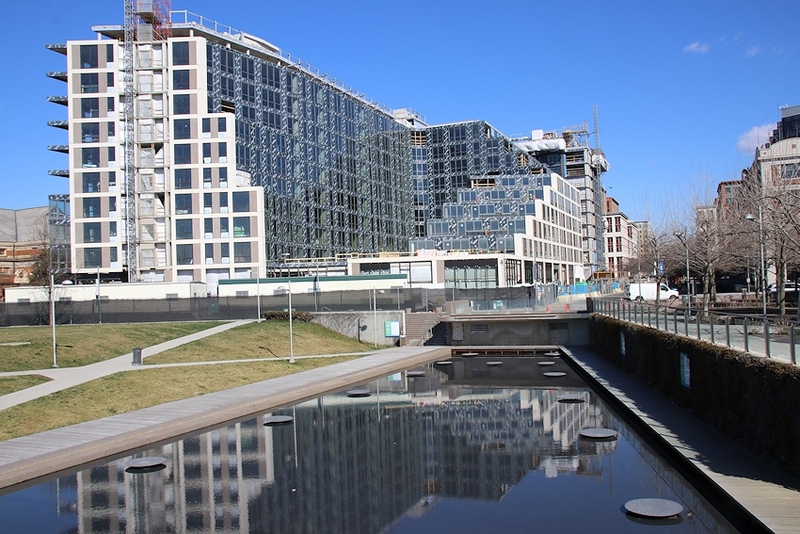 March 17, 2019 - The same location, with the hotel's frontage now visible. 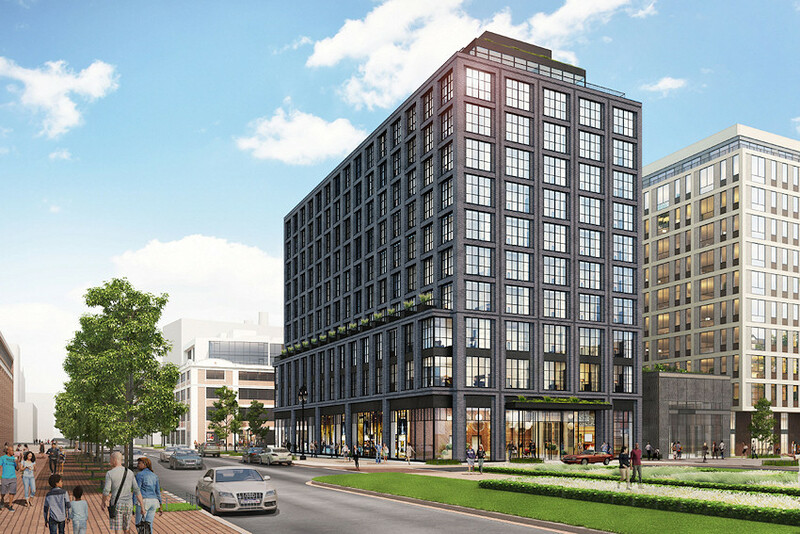 March 2, 2018 - Updated rendering highlighting the building that will be a Thompson boutique hotel, with approximately 227 rooms and 7,500 square feet of ground-floor retail, along with a rooftop bar/restaurant. This is the view down 3rd Street from Tingey, across from the Foundry Lofts. May 21, 2004 - Looking southwest from the corner of 3rd and Tingey in May, 2004, before 3rd Street really existed to the south. 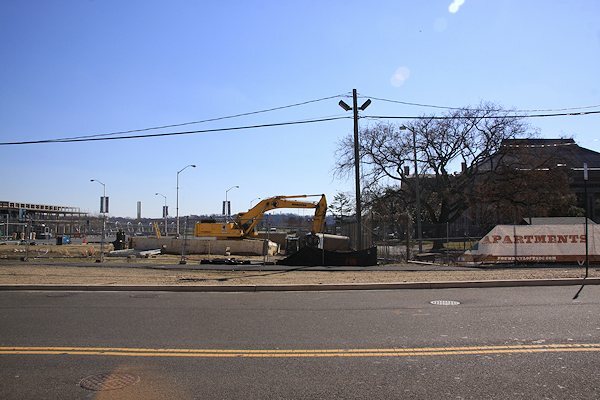 March 17, 2019 - The current view of the same location. July 16, 2016 - Looking east toward Parcel L from Tingey Street, showing more clearly how the "L2" residential building would not front Tingey. (This was filed before the design for the hotel was finalized.) The park area in the foreground is the proposed Tingey Square. April 16, 2016 - Looking west on Water Street across 3rd Street, from a position between the Lumber Shed (left) and Foundry Lofts (right). The DC Water historic Main Pumping Station is ahead. 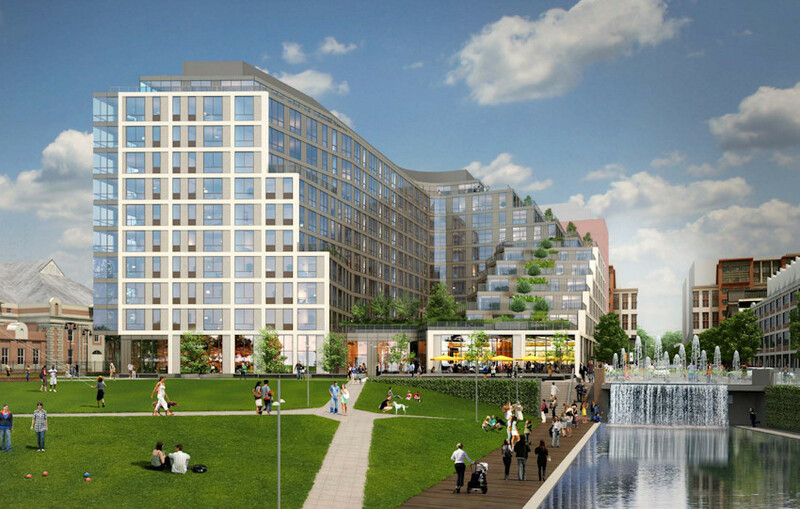 A rendering from the July 2016 zoning submission showing a less faraway version of the same location, with the proposed Parcel L building ahead. 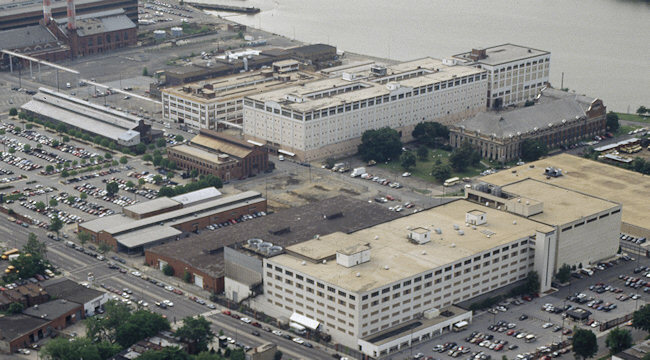 An overhead view of what was then known as the Southeast Federal Center, in about 1992. The very large white building at center rear is Building 159, which stood on this site until about 2000 but which I never got my own photos of. (Waaaah!) From the Carol M. Highsmith archive at the Library of Congress.